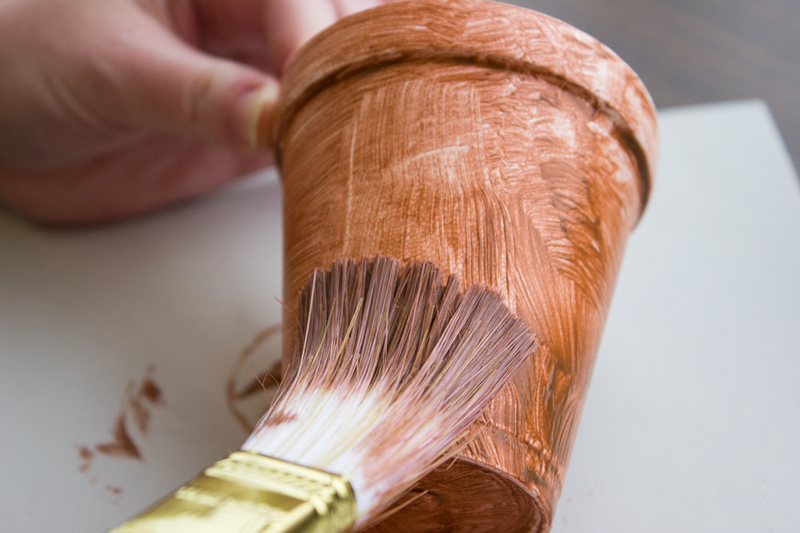 Step 1: Paint Styrofoam cup brown both inside and outside. 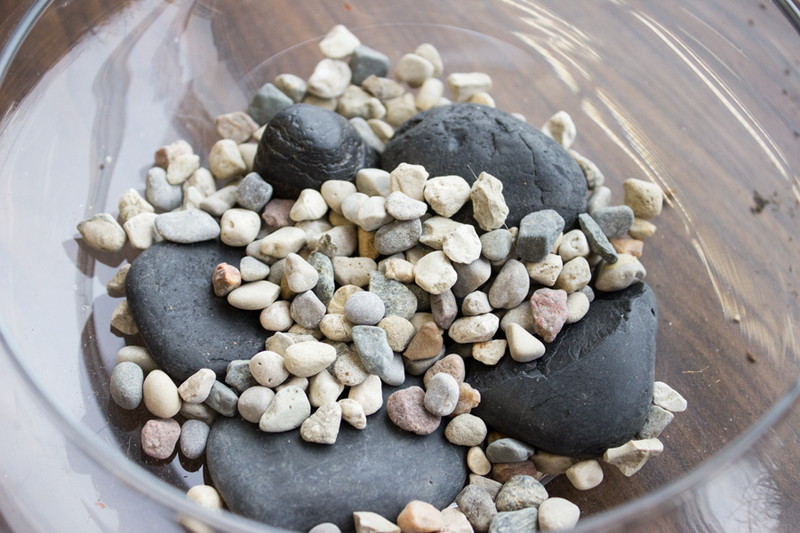 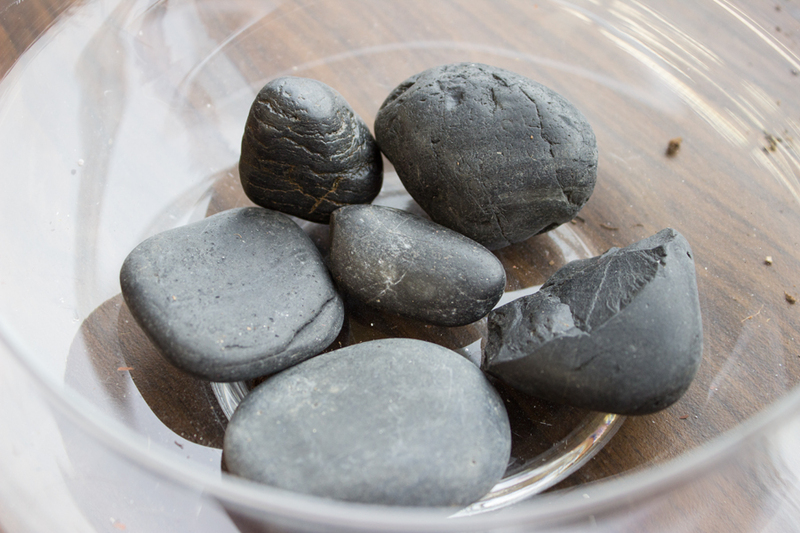 Step 2: Cover the bottom of the glass or plastic container in a single layer of rocks. 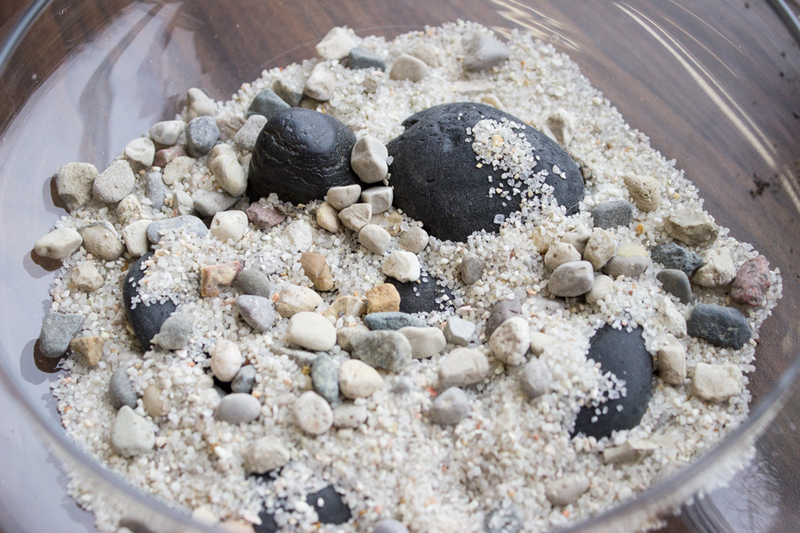 Step 3: Add a handful of pebbles to fill in some of the cracks. 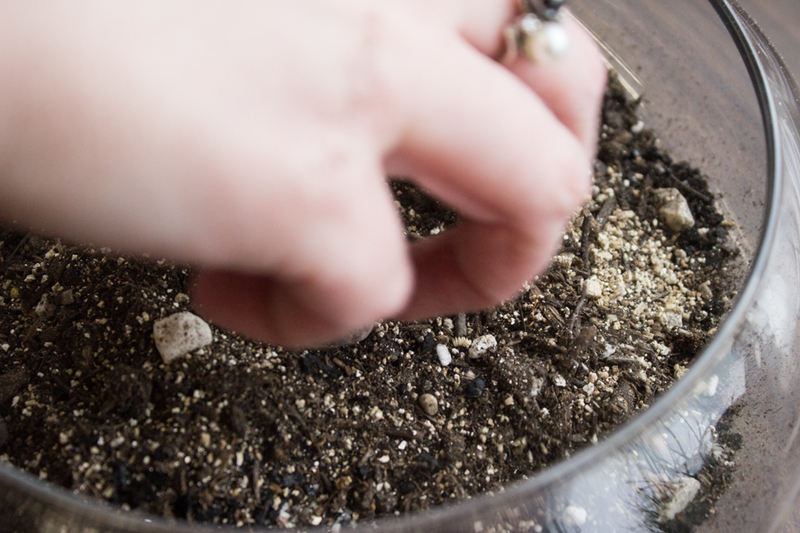 Step 4: Add a thin layer of sand. 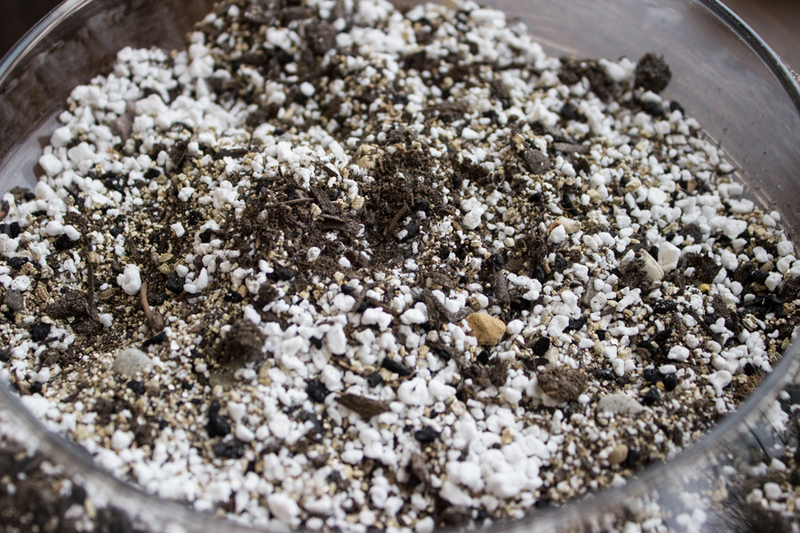 Step 5: Cover the sand with a very fine layer of activated charcoal. 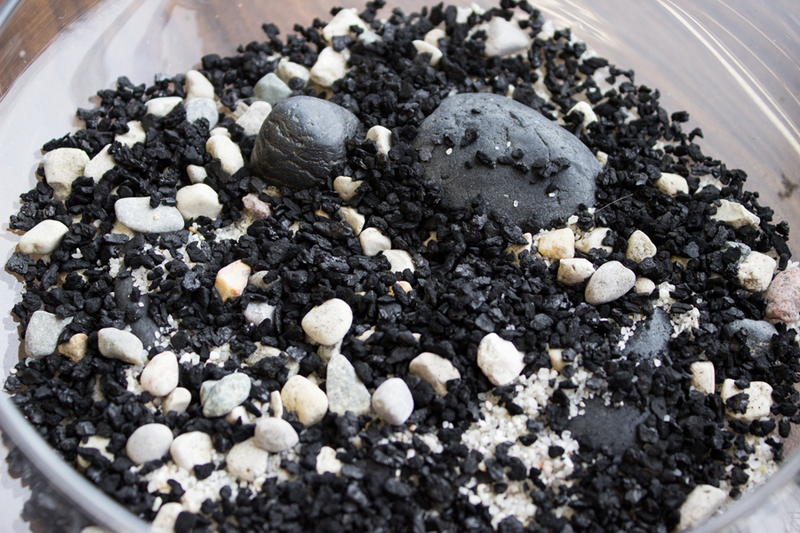 Step 6: Add another thin layer of sand to cover the charcoal. 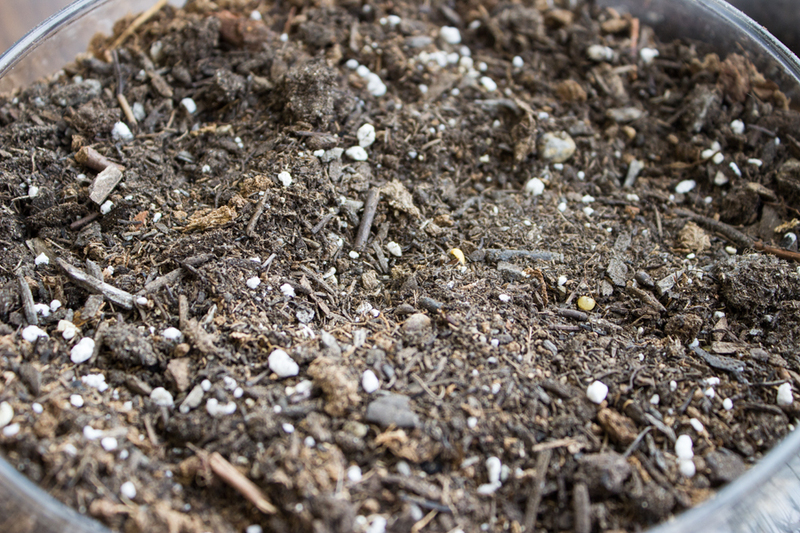 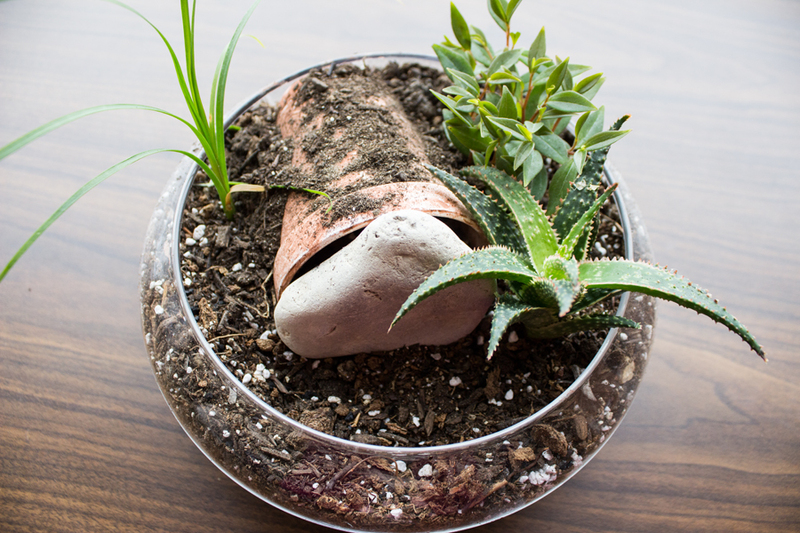 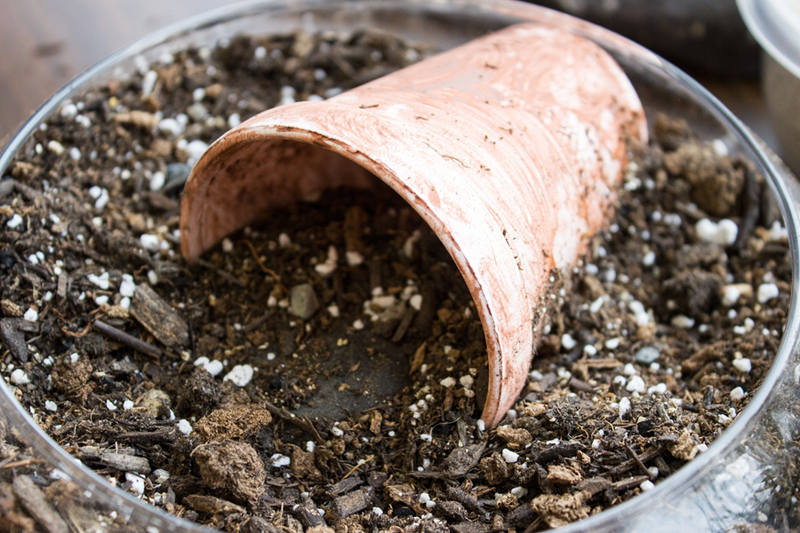 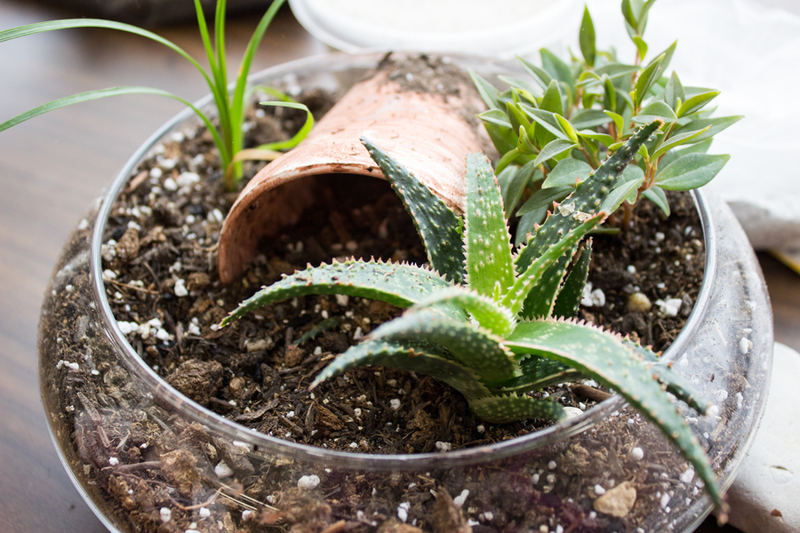 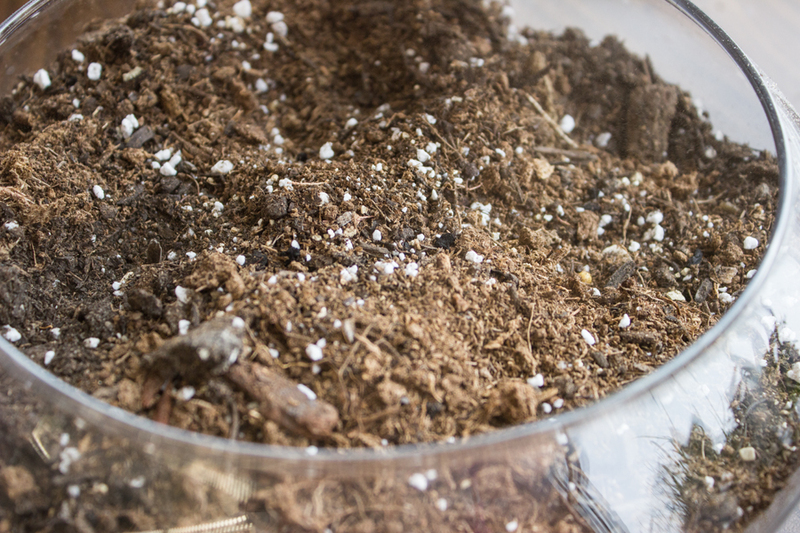 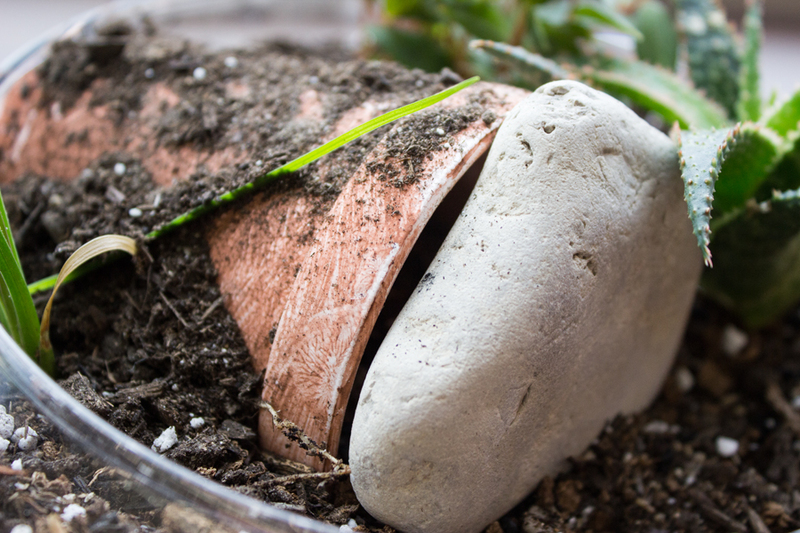 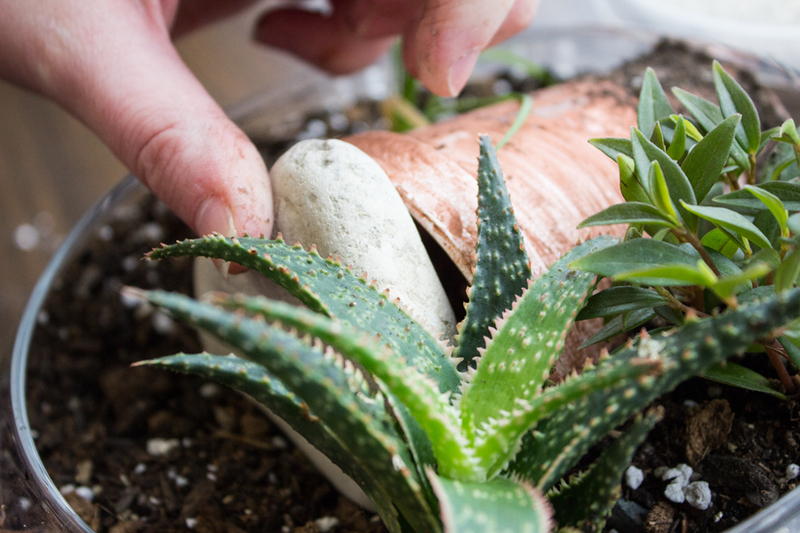 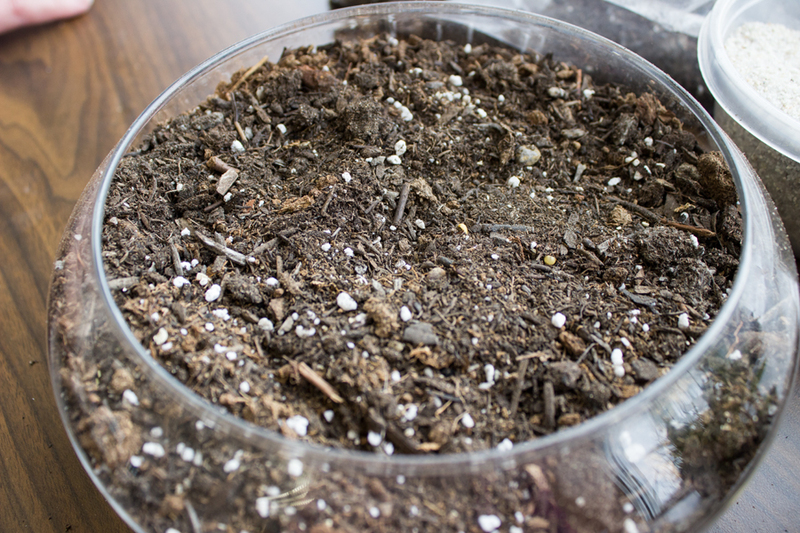 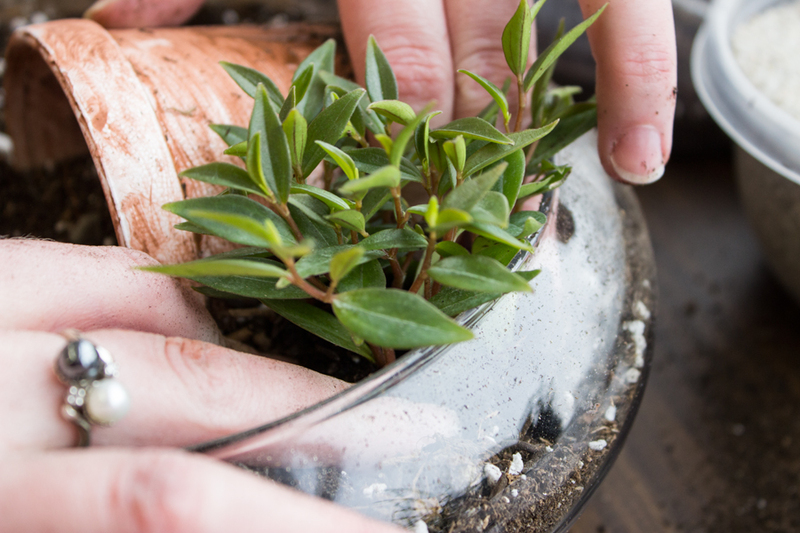 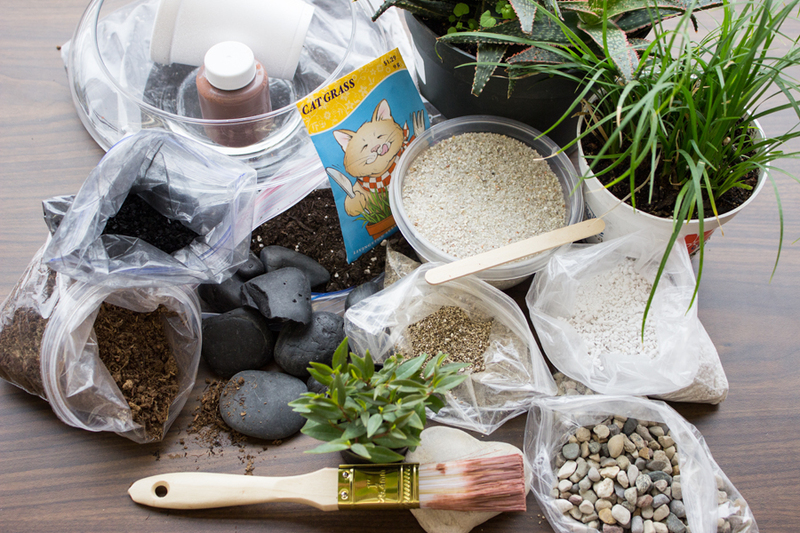 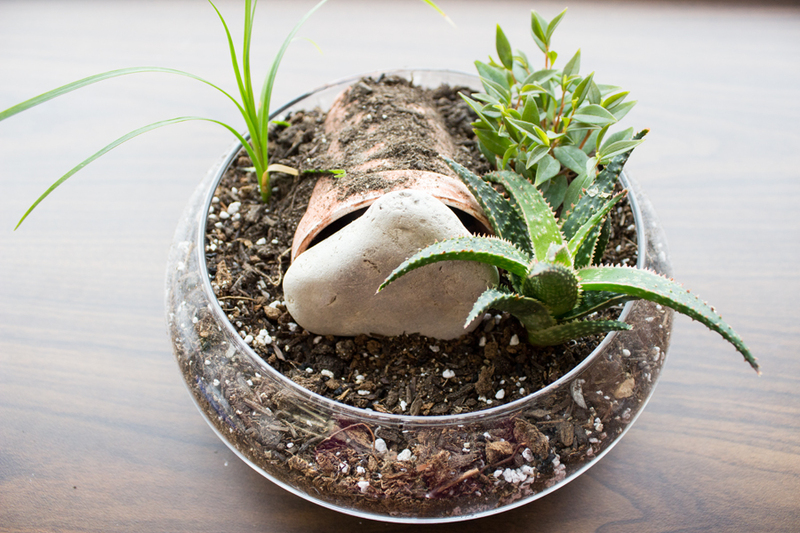 Step 7: Mix together ½ cup peat moss, 2 cups potting soil, 1/8 cup perlite, ¼ cup vermiculite. 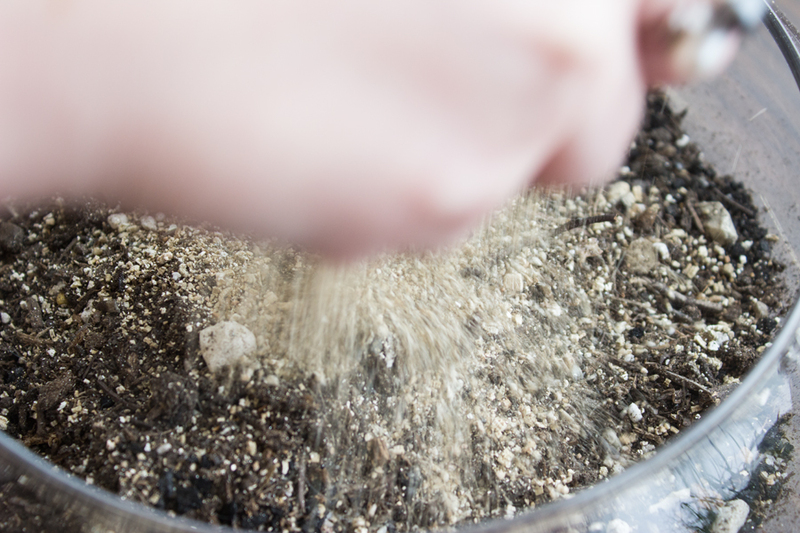 Pour the mixture into the container, filling it to about ½ inch from the top edge. 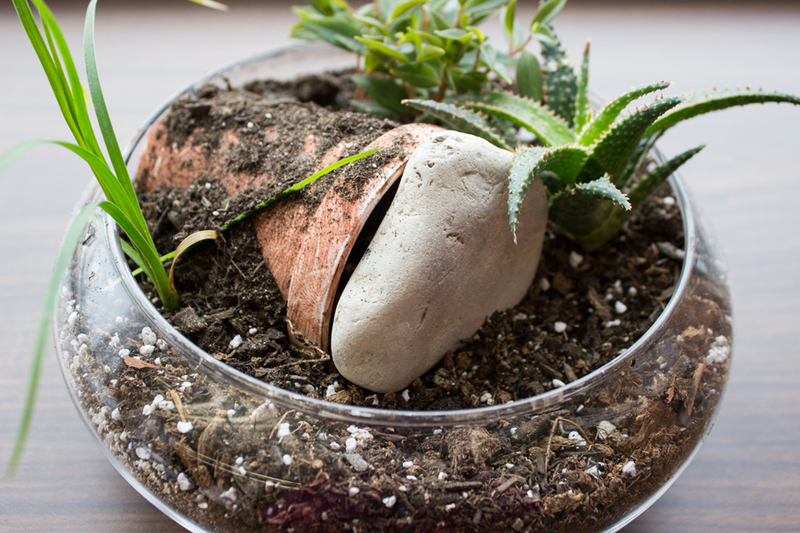 Step 9: Place the large rock in front of the tomb opening and water the plants.